Melt butter in a small saucepan over medium heat. Add brown sugar and whisk until sugar dissolves and mixture starts to bubble. Set aside to cool, and whisk in vanilla. Cream together cream cheese and powdered sugar for 60 seconds. With mixer on low speed, add in brown sugar and butter mixture. Mix until combined. I added the chocolate chips at this time so the mixer could break them up into pieces. You can so that, or just fold in the chocolate chips. Garnish with additional chopped chocolate. 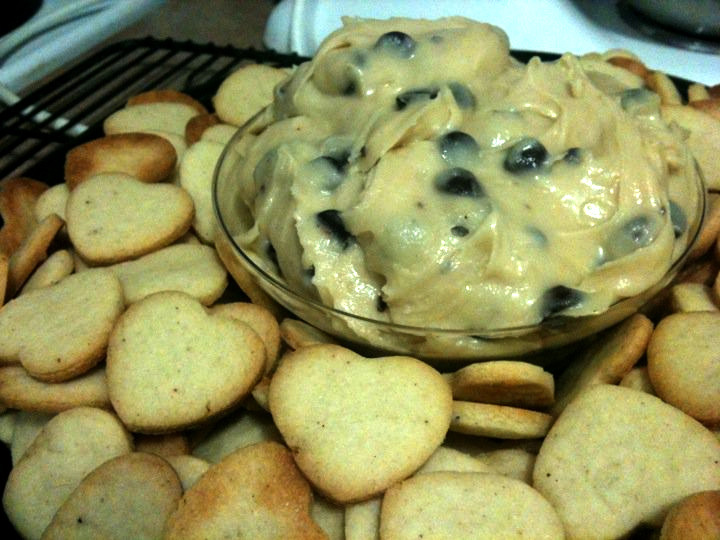 Serve with fruit, cookies, crackers, pretzels. Pictured above are Williams-Sonoma Animal Crackers.